Underextrusion? Over-retraction? Bad filament? Octoprint settings? Posted April 10, 2018 · Underextrusion? Over-retraction? Bad filament? 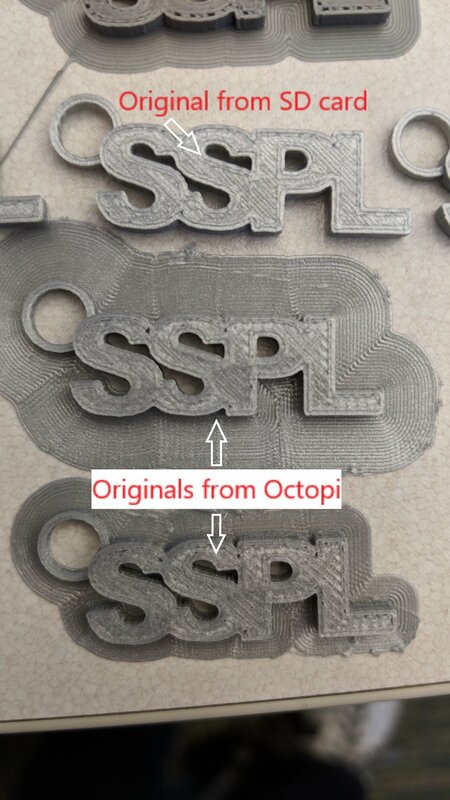 Octoprint settings? Well over a year ago I had things working to what I thought was a fairly good result. Unfortunately it's been over a year and I don't recall what print quality looked like back then. I believe after the amount of time that's passed that it's just bad filament, but if I'm mistaken and it can still be used that would be great as this filament was a brand new roll before the printer was previously set aside. My Octoprint's settings were taken from Cura 15.04.6. 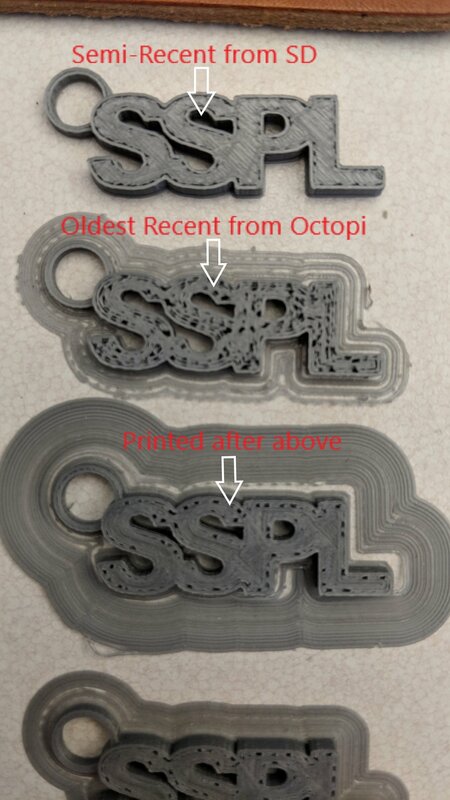 Prints have now been sent from an archived version on the Octopi board, from Cura 3.2.1, as well as uploaded and processed directly by Octoprint itself (on the raspberry pi 3). Unfortunately, recent prints have contained what appear to be bubbles, or missed edges in the print. 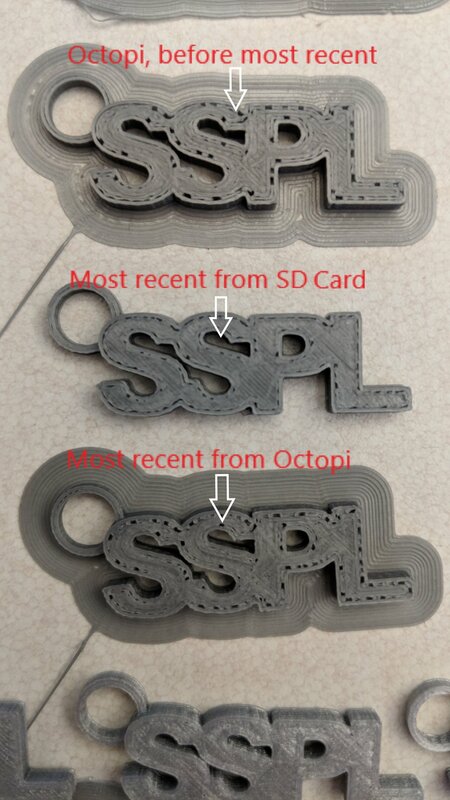 A photo of recent prints is attached, as well as my Octopi configs and start/end gcode. Unfortunately I do not have a comparative print of an original version of this model's print. Not having a lot of experience with 3D prints or the Ultimaker, I'm not entirely sure what to make of these print results -- if it's (1)bad filament, or if there are (2)settings I can adjust (and how) to make the result better I'd be happy to learn! preswitchextruder.gcode = ;Switch between the current extruder and the next extruder, when printing with multiple extruders. postswitchextruder.gcode = ;Switch between the current extruder and the next extruder, when printing with multiple extruders.